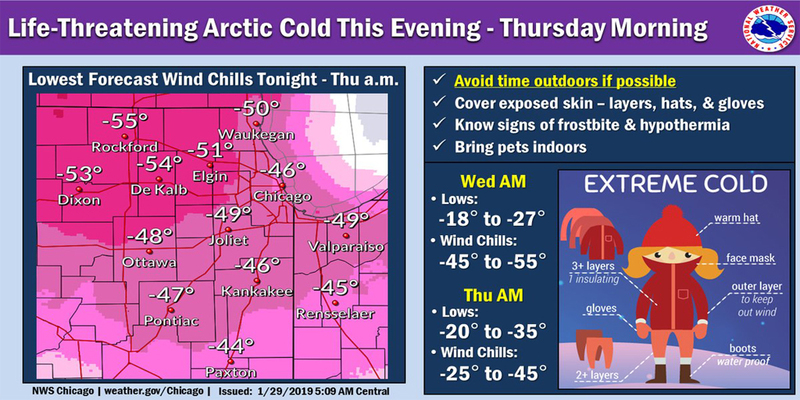 The frigid weather descending on Illinois is such a concern that Gov. J.B. Pritzker has issued a disaster declaration to free up resources if needed during what he called “potentially historic” cold. 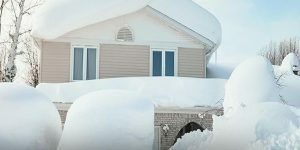 You too should be prepared as the polar vortex blasts the Chicago area: Make sure you are heating your home in the safest, most efficient ways. Don’t use an oven or grill to heat your home. If you use a space heater, keep children and pets away from it. Place it on a hard, level surface; keep it away from flammable objects; and don’t leave it on overnight. Also, the Department of Energy recommends that such heaters should be plugged directly into the wall outlet. (If an extension cord is necessary, use the shortest possible heavy-duty cord of 14-gauge wire or larger. Check and follow any manufacturer’s instructions.) It also recommends buying a unit with a safety switch that automatically shuts off the heater if the unit is tipped over. To prevent possible carbon monoxide poisoning, only use generators outdoors and avoid warming up your car inside your closed garage. (Knows the signs of poisoning.) Install carbon monoxide alarms in central locations on every level of your home and outside sleeping areas to provide early warning of problems. Make sure they’re all in working order. Fireplaces can be warming and cozy, but dirty chimneys account for 27 percent of home-heating fires. Like space heaters, keep objects away from them. And when you’re done using the fireplace, close the damper so warm air doesn’t escape up the chimney. Cold weather is a great way to discover drafts in your home. If you’re not able to seal drafts immediately with tools from the hardware store, roll-up a towel and push it against the bottom of doors to temporarily reduce the drafts during an emergency like this. Drafts not only let heat escape from your home, but they can cause money to escape from your wallet! According to Energy.gov, poor insulation can account for up to 30 percent of your energy bills. Times like this test the community. Check on neighbors and loved ones. If you or someone you know doesn’t have access to heat, Keep Warm Illinois lists warming centers near you. We know pets can be part of your family, too. The American Society for the Prevention of Cruelty to Animals (ASPCA) has plenty of cold-weather tips for your pets. Remember: Stay inside, unless you absolutely have to leave to get to a warmer place. Prolonged exposure to cold can lead to frostbite and hypothermia. (Know the signs!) In this dangerous cold, the risks can come quicker and be life-threatening.